"Hoof Prints on the Heart Earrings"
Collect them all. 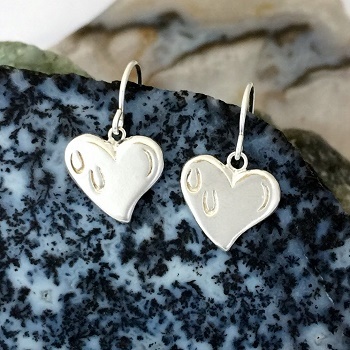 Gorgeous Hoof Prints on the Heart Earrings featuring french wire findings for comfortable wear. Hand crafted in sterling silver and light weight.